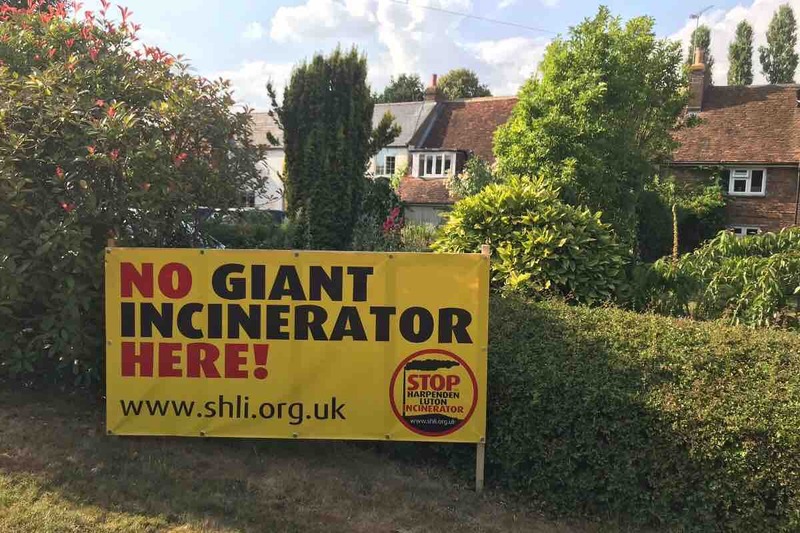 To stop the development of a giant incinerator on green belt land on the Beds/Herts border. This will require the importation of 500,000 tonnes of industrial waste per annum to be incinerated at 850 degrees Celsius emitting toxic dioxins and nano-particles which have been linked to cancer and heart and respiratory disease. There are 40 schools within a 5 mile radius of the chimney. The proposed site is on the second busiest B road in the country and will operate 24 hours per day, 7 days a week with an estimated 24 heavy goods vehicle movements PER HOUR. This must not get approval from Central Bedfordshire Council. We need your help in building campaign funds to further raise awareness and for potential litigation. See SHLI.org.uk for more information. Thank you! Hi all. There appears to be a rumour going around that since Luton Airport publicly withdrew their support for the incinerator that it has gone away. Not true. We are awaiting the Planning Application from Emsrayne now. We had a very successful and fun Saturday morning in the East Hyde Village Hall stuffing envelopes for a mass mail shot to Caddington, Slip End, Studham and Kensworth residents to get them to register their opposition to this outrageous proposal. Please visit our website shli.org.uk and on the “Mail” tab please see instructions on how Central Bedfordshire constituents can register your opposition to this. Please send a separate email from everybody in the household. We will let you know when the Planning Application is submitted as we will then need to take the fight to the next level. Together we can beat this. Jeff and the SHLI team. If you haven’t checked it out lately please take a look at the shli.org.uk website. David has done an amazing job refreshing it and has also put up some great drone footage of the proposed site. Also, just a reminder that if you have not done so already please do register on the website as this will be our primary means of communicating with supporters with regard to how you can help us to help you. projects in the UK. We will respond to the specific points raised on the LBEP web site. performs poorly on all counts. benefactors or benefits and many significant concerns. Please see article in todays Herts Advertiser, which again, is encouraging.